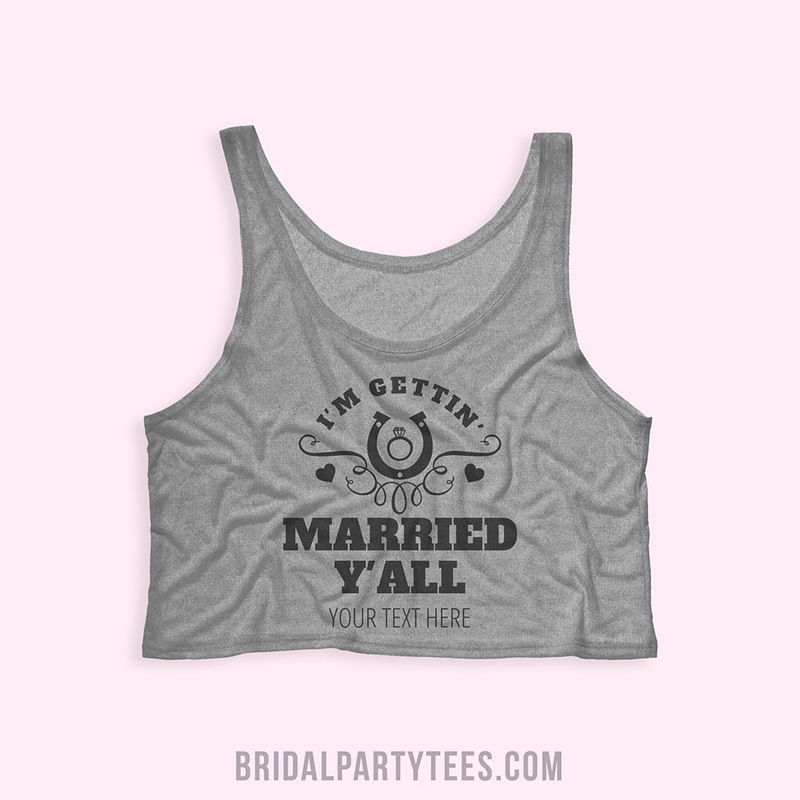 Everyone knows that the first rule in planning a wedding is that you must have an overall theme. These themes can range from very traditional, color schemes, or what’s currently trendy in the bridal industry. Many bride’s choose an idea that represents what she loves and ideally makes her who she is today. That is why most bride’s stick to their roots and no roots run deeper than a rustic country affair. 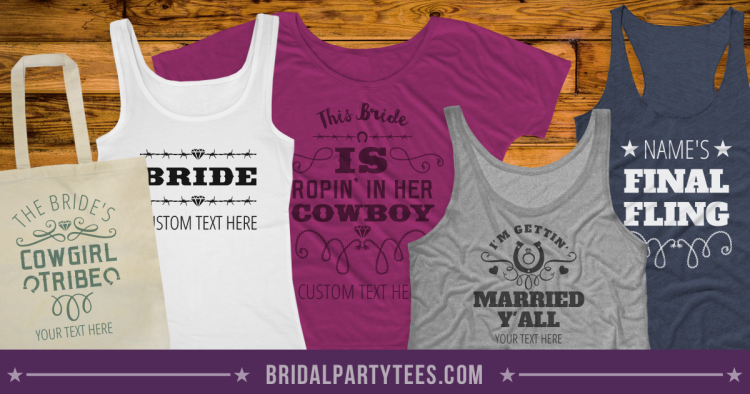 Whether your goal is to be country-chic or have a down right dirty hoedown, Bridal Party Tees wants to help you and your cowgirls saddle up for your last rodeo with country bachelorette party shirts. Our country designs includes one of a kind art that you’ll instantly fall in love with. Cowgirls, boots, and horseshoes are just a few of the pieces we offer but with the ability to customize you can create the perfect design with your choice in art, font, and text! All of our designs are printed on high-quality, super comfy tanks, tees and sweatshirts with with brands like American Apparel, Bella, and Alternative Apparel. If your bachelorette party is a chance to getaway from all the city slickers simply swap out the city and add names to any design in our gallery. You can even create matching accessories like trucker hats or shot glasses to take home as commemorative party favors. Maybe a country western theme isn’t exactly what you are looking for. 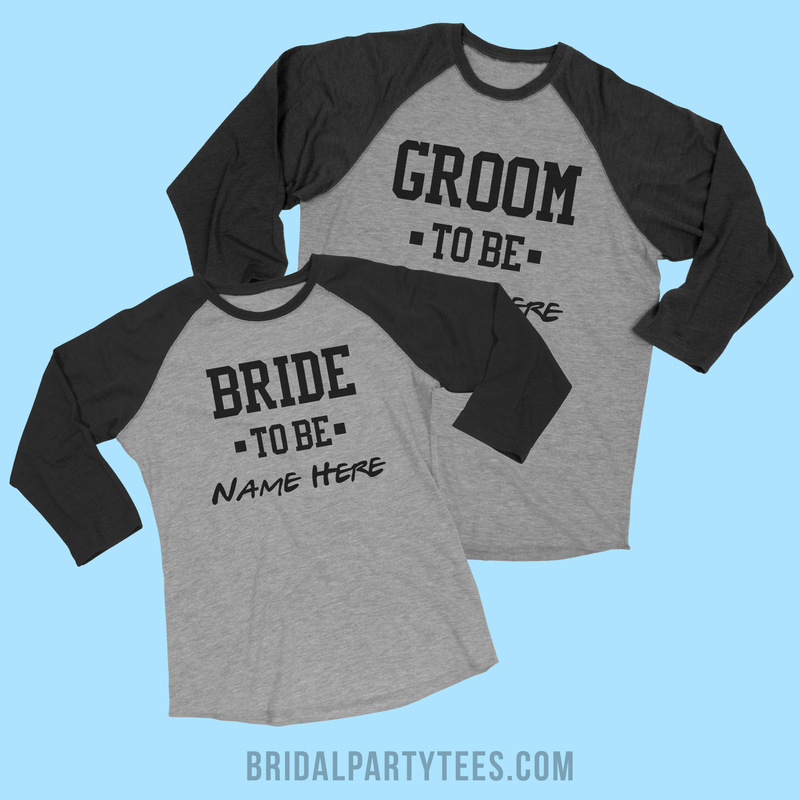 Bridal Party Tees offers thousands of bachelorette party shirts that will fit any and every Bride’s style. 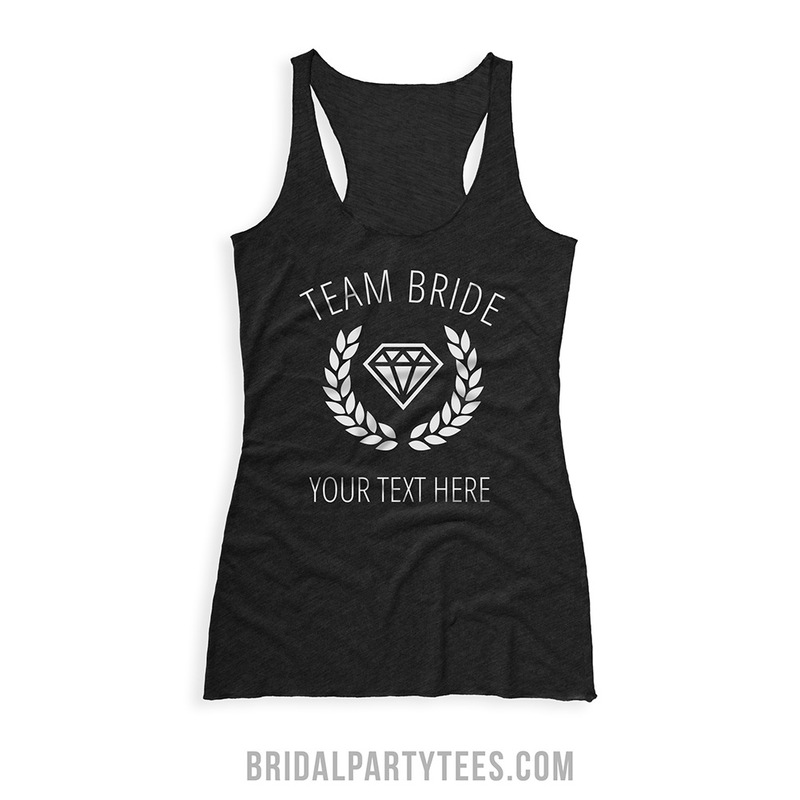 Let your maids know how much you appreciate them and all their hard work with the best bridesmaid shirts! Use coupon code below to save! Use coupon code A54BPT at checkout and get $5.00 off orders of $40.00 or more! Offer expires 8/31/2016 at 11:59PM EST.